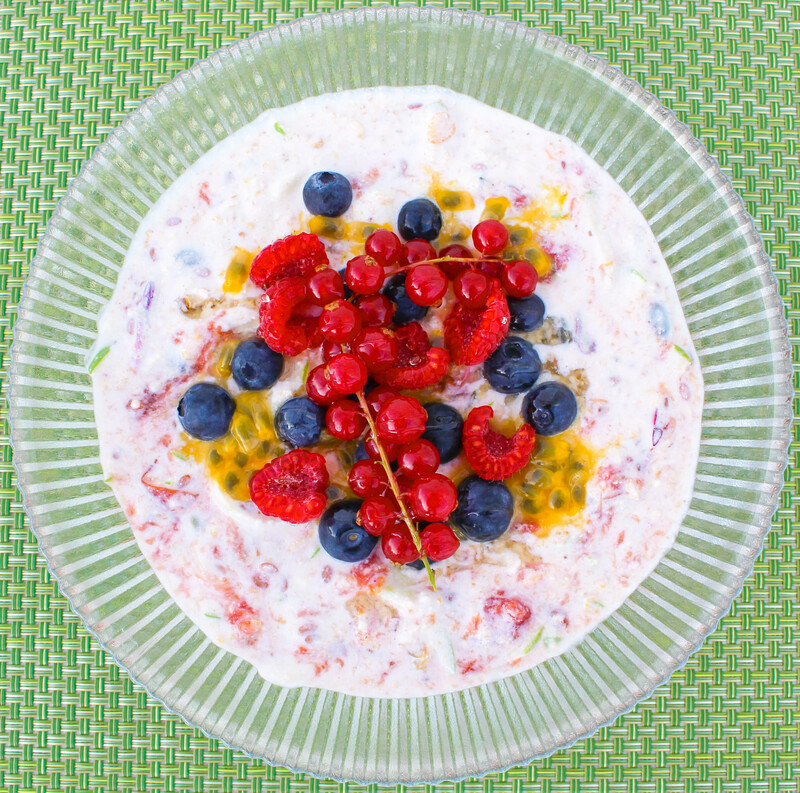 Making Bircher Muesli takes me back to Manly in Australia where I was introduced to this dish by our breakfast chef, Debs at Garfish. This recipe needs to be made the night before and you could make enough for several batches perhaps at the beginning of the week if you wanted to have some to hand each morning. I use kefir in this recipe but you could use a combination of dairy or dairy free milk and yoghurt if you like. I had some spiced plum compote to hand but you could use honey or agave to sweeten the muesli if you like. 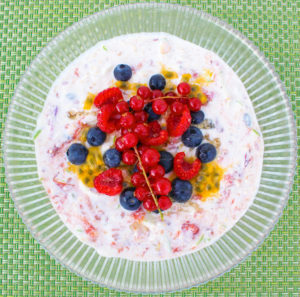 Place the muesli in a container and cover with milk kefir or a combination of milk and yoghurt (dairy milk or dairy free). Stir well then place in the fridge overnight. In the morning grate a third of an apple and stir it into the soaked muesli. If you have some compote to hand, stir in a spoonful or so then add more kefir if necessary (Bircher Muesli should have a loose consistency). Serve topped with some nuts, seeds or fruit.